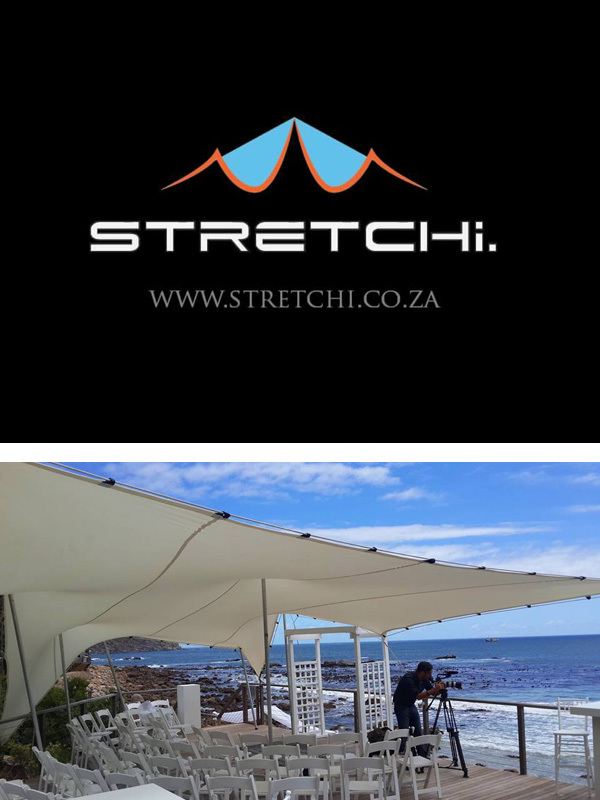 Cape Town Based Company, Stretchi is run by young energetic team. They strive to bring you the best solutions to any event. They use professional and stylish rigging techniques to generate a contemporary look to all their setups. 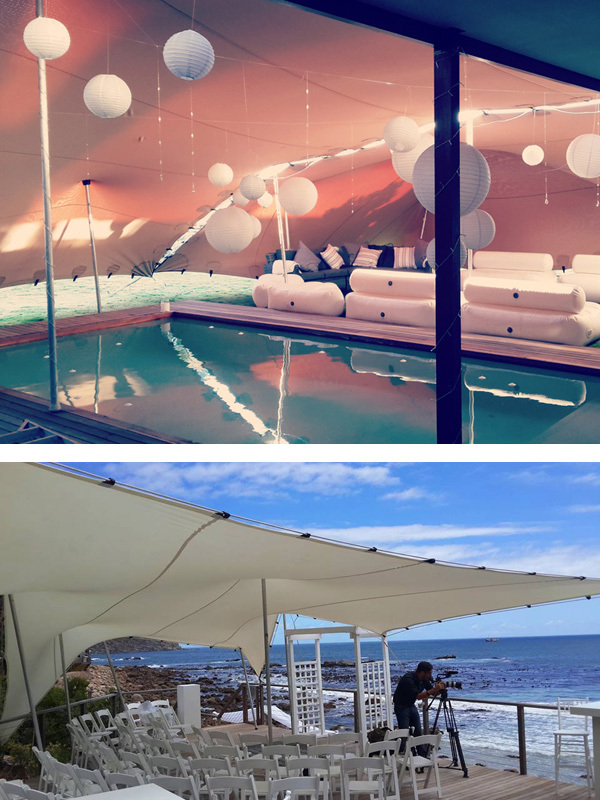 Stretchi’s Bedouin style Stretch tents are the most popular option for anyone wanting to host a successful event. The sleek lines and free-flowing forms are the only way to go when trying to impress your guests. This combined with unlimited rigging options allows for no area to go uncovered. 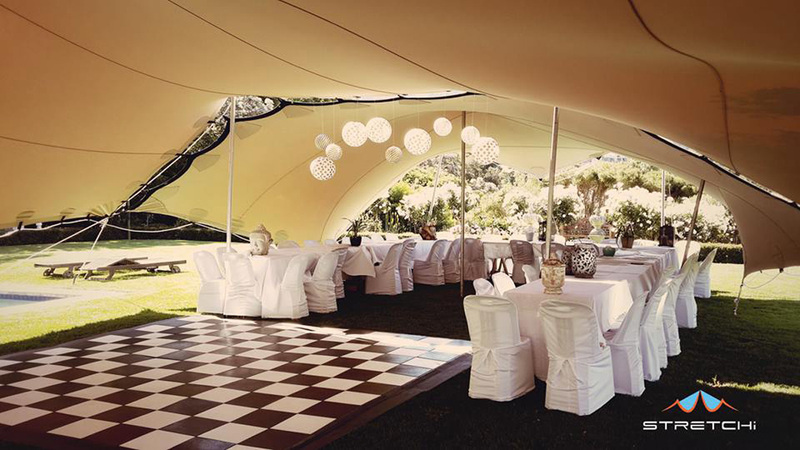 We will come to your venue and transform it into a beautiful and weatherproof area for your guests. 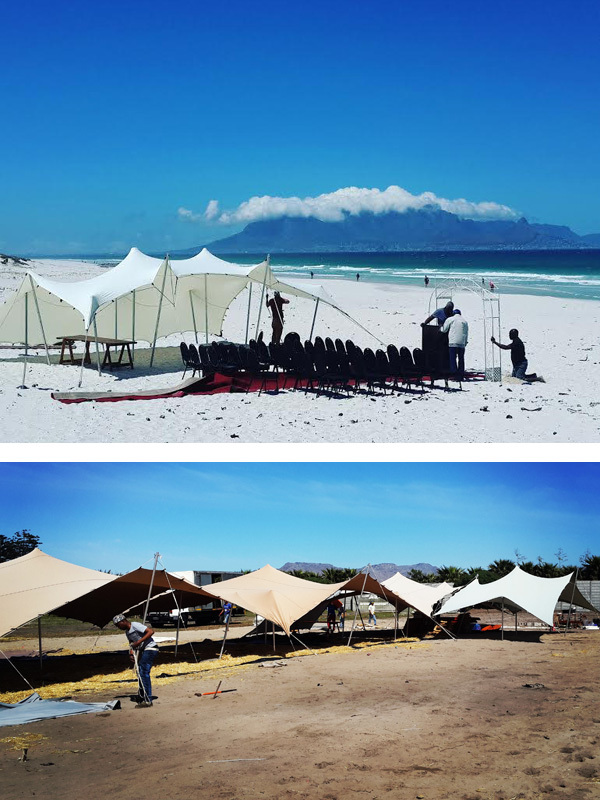 Professional rigging combined with sleek Bedouin style stretch tents and young friendly staff offers you the best tent rental solution in Cape Town. Our tents come in a range of sizes and are all wind proof and waterproof. Stretchi Furniture - Go a step further and make use of awesome new inflatable furniture. Your guests will not want to leave the comfort of your event.